Own the film on DVD. The disc also includes a comprehensive slide show that offers some looks behind the scenes. 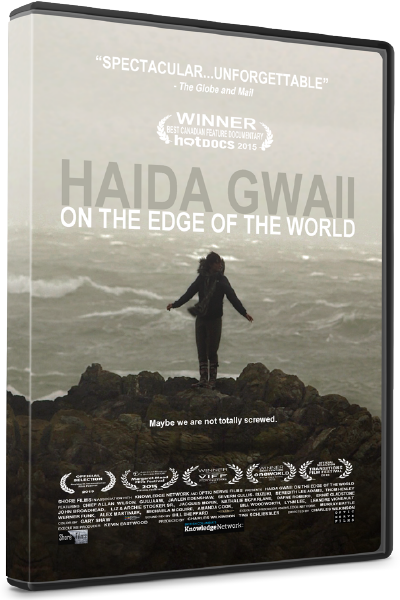 The BluRay contains the film in stunning high definition as well as a wealth of info about Haida Gwaii. In addition to the slide show & the theatrical trailer, the ‘special features’ menu includes over 30 short video clips exploring the magical locations of Tow Hill, Windy Bay, Skanng Gwaay and more. The clips feature the beautiful imagery of Haida Gwaii and some pretty informal narration by the filmmaker, Charles Wilkinson. On the top left corner of North America an energy bonanza of unimaginable proportions is taking place – far away from the eyes of the world. In Canada's vast Peace River region the mega-projects include a major new dam, tens of thousands of hydro-fracked shale gas wells, a nuclear power plant, and the Tar Sands. On the positive side of the ledger, countless jobs are being created, resource revenues are pouring in, schools and hospitals are staying open. Alternatively, there are credible charges that multi-national corporations are despoiling an area the size of Florida, converting public assets into private fortunes and leaving a wake of Mordor-like destruction. Who to believe? Peace Out seeks to engage those of us who do not connect our daily decisions with global land use issues. It focuses on the North Western Canadian wilderness, however the issues are universal. The film engages hydro and natural gas energy executives, oil company reps, nuclear spokesmen, scientists, academics and activists in an intelligent debate that leaves the viewer to decide. The film presents a beautiful, thought provoking look at a rapidly transforming landscape. Every energy sector out there wants a piece of the Peace River Valley, one of the last great wild places in North America. The oil industry wants it, the frackers, the solar, wind and nuclear industries.Why? As Charles Wilkinson paddles through the issues he engages hydro and natural gas energy executives, oil company reps, nuclear spokesmen, scientists, academics and activists. What starts to becomes clear is that the tricky business of energy supply and demand does not play out in isolation. It involves everyone who turns on a computer, starts a car, charges a cell phone. 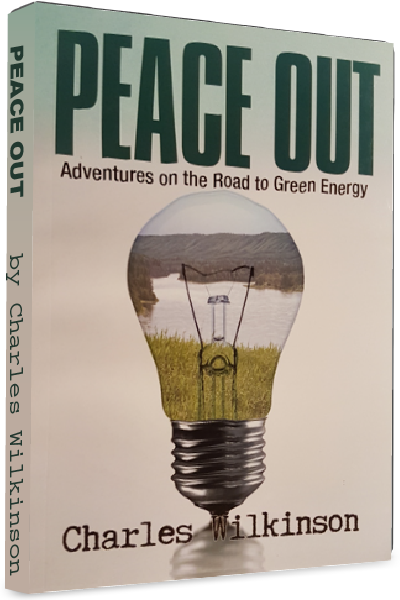 With clarity, even handedness and a good deal of wit, Charles Wilkinson connects all of us all to this sweeping energy issue that is rapidly transforming our world. The Peace River is in northwestern Canada, but it could be anywhere as the issues are universal. 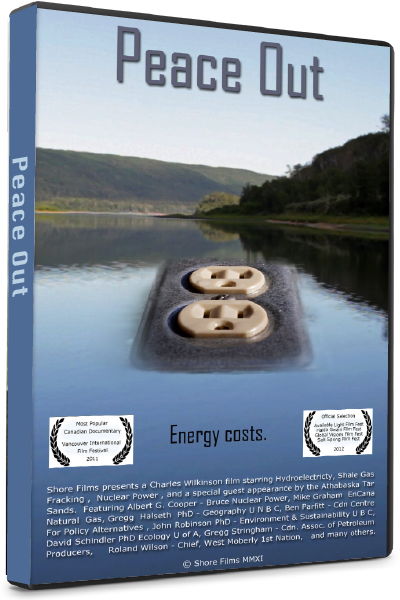 Peace Out was inspired by Charles Wilkinson's award-winning documentary of the same name.